Bvlgari Aqva Divina inspired by the contemplation of the famous painting. 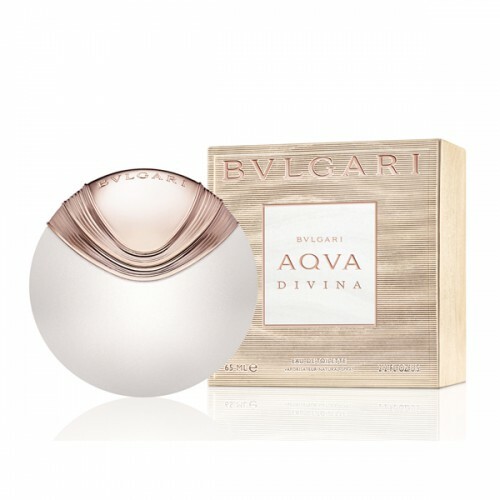 Bvlgari Aqva Divina 65ml. Eau De Toilette - Inspired by the contemplation of the famous painting by Sandro Botticelli "The Birth of Venus", the perfumer Alberto Morillas has created a new perfume for women - Aqva Divina. Inhaling the fragrance of this masterpiece, imagine how among snow-white sea foam off, fueled by the warm wind, sails to the shore itself, Venus ... You feel like your own skin touch of sunlight, feel the salt spray on the skin and with a sinking heart, waiting, when the waves of the sea appear beautiful Goddess of Love ... The Aqva Divina - a new perfume created for Bvlgari home in 2015. In a series of exclusive men's fragrance Aqva is the only perfume for women. Aqva Divina fascinate unusual compound notes: pungent and spicy ginger, salt, bergamot. This composition is incredibly surprising and invites to unveil the secrets of the heart notes, which joined magnolia flowers and quince. Train dress seductive goddess weaved drops majestic woody notes, amber and precious sensual softness of beeswax. Of Bvlgari The Aqva Divina - fragrance for this goddess of love! Top notes are bergamot, salt, ginger note " heart " : magnolia, quince Final note : woody notes, amber, beeswax Perfumers : Alberto Morillas. At the beginning of the scent Bvlgari AQVA Divina can overpower you with unique savory chords that are complemented by fresh bergamot and ginger oriental The heart of the fragrance can be found intoxicating aroma of quince and chords graceful magnolia. The basis of perfume pervade attractive wood tones, sunny amber and beeswax. Bvlgari AQVA fragrance bottle Divina was designed as a tribute to Botticelli's Venus. The shape of the bottle resembles a scallop with charming pearl reflections. Discover your natural beauty and become a goddess with a unique feminine scent Bvlgari AQVA Divina!